A common debate within majority of us. But this is just a myth. The fact is that erectile dysfunction has nothing to with aging. It's true that as a man gets older; he may need more stocking and touching to get an erection. 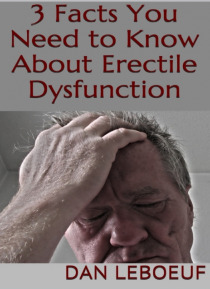 With this ebook, discover:-How to beat erectile dysfunction-The ugly truth about erectile dysfunction-6 erectile dysfunction secrets you never knew-And MoreGRAB A COPY TODAY!